Authors are ROCKSTARS! 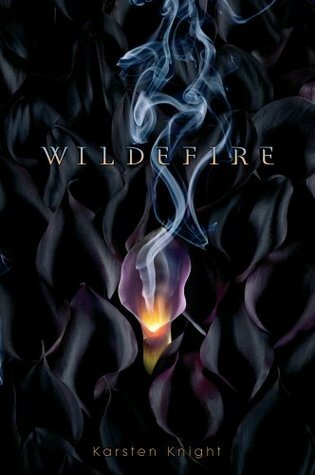 : Win a copy of Karsten Knight's Wildefire! It's contest time! You can win a copy of Karsten Knight's fantastic debut novel, Wildefire. Just fill out the form below. We'll be selecting a winner on July 26th, the day it is released! If you want to increase your chances though, there are a few other things you can do. - For 1 bonus point, tweet or Facebook: "I want to win @KarstenKnight's Wildefire from AuthorsareRockstars.com, hosted by @alli_librarian & @nggu_reviews.http://bit.ly/otWrJc"
- For 2 bonus points, become a follower of this blog, if you aren't one already. Good luck and be sure to keep an eye on the site. We have some awesome podcasts coming up, including a BIG surprise next month.. Dun dun dun! I'm not sure what I expected from Wildefire...I saw the rave reviews, but I still wasn't completely convinced. The premise sounded a little been there, done that to me. Wow, was I wrong. I discovered from page 1 that this book was something different. Wildefire is something awesome.